View More In Artificial Vegetables. 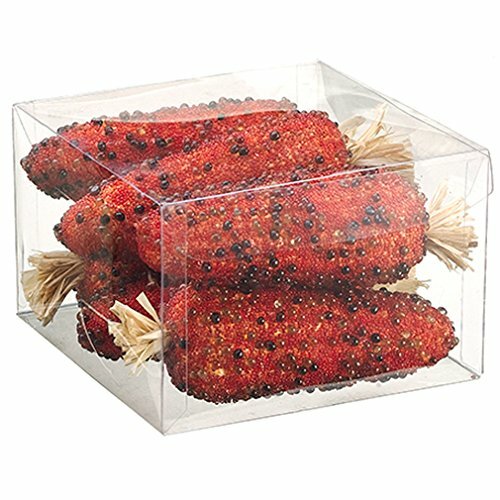 Stunningly beautiful, this 4.5"hx6"wx6"l artificial boxed corn on the cob are incredibly reaslistic. Bring the outdoors in and add some rich, warm colors to your autumn displays! Present these artificial fall fruits and veggies together or separate anywhere in your home! Combine them with candles or potpourri, or create lovely fall centerpieces with the help of additional fall decorations. You'll find endless ways to decorate with our products and you can use them for years as they'll never spoil! This listing is for 1 pack. You will receive 6 boxes per pack, 1 boxed contents shown in picture.